As course administrator for a course, you may have the responsibility of overseeing the completion of student performance evaluations. Generally the course director is assigned as the default evaluator for all students. 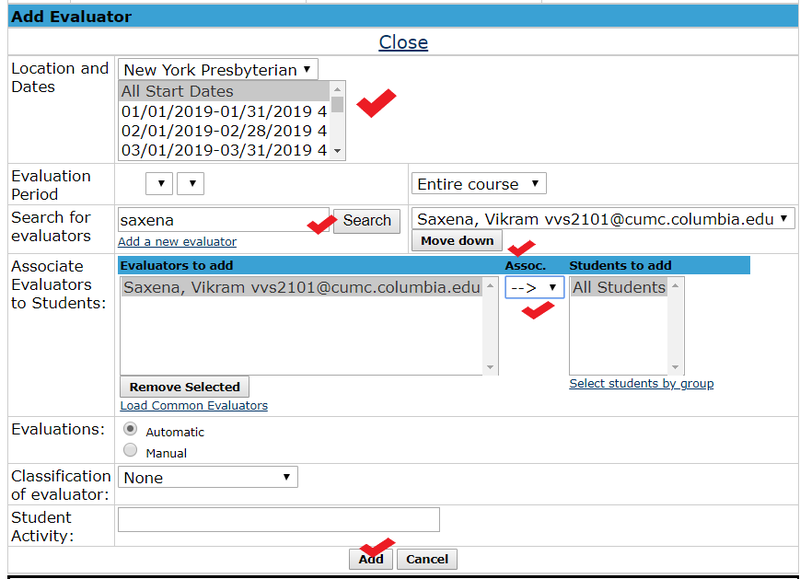 To view/change or add evaluators, navigate to the course>evaluation>manage evaluator menu. 1. select All loctions, All start dates and click "show"
5. Select and click "move down"
The new default evaluator will show in YELLOW below. You may delete any previously matched default evaluators.